Pharma Line S.r.l. is an Italian pharmaceutical company specialized in food supplements and medical devices for over 30 years and focused on high quality and innovative solutions. Engaged in research, development and marketing of original formulations, all products are characterized by pharma-grade APIs that work in synergy to support and maintain patients' healthcare and well-being. With over 140 medical reps, medical liason and field trainers in Italy alone, Pharma Line's values are excellence and innovation. The staff works to improve patients' quality of life and to respond to their potential needs. Foreign Partners are carefully selected in order to maintain highest standards in technology, competence, reliability and competitiveness. 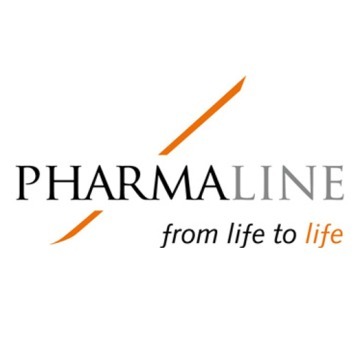 Pharma Line S.r.l. is certified UNI EN ISO 9001 - UNI EN ISO 13485 and production processes of referred contract manufacturers follow GMP standard. Therapeutic areas covered: Cardiology; Gastroenterology; Gynaecology; Hematology; Neurology/Geriatrics; Nephrology; Ophthalmology; Otolaryngology; Pediatrics; Pulmonology; Surgery/Traumatology/Physiatry; Urology. Pharma Line is costantly looking for Partners from all over the world who can share the same values and are keen to distribute the finished dosages presented in the portfolio (food supplements, medical devices and dermo-cosmetic) among their territories. Pharma Line strongly believes in supplying their Partners with specific medical marketing training to develop solid projects and fruitful partnerships, aiming to keep growing together in time. Food Supplements: Antovit; Brainil; B-Vital totale; Emacrit; Enterovital, Liovital AD; Liovital mirtillo; Liovital Plus; Sinergen minerale; Stenorex; Venolen plus; Viscoflu (sachets). Dermo-Cosmetic: Venolen idrogel. Medical Devices Class I and IIa with CE Mark: Ginestra; Catidral; Viscoflu (vials/spray); Macrostip. 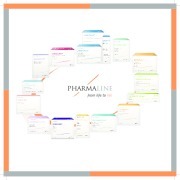 Your message will be sent directly to Pharma Line srl and will be answered at their discretion.